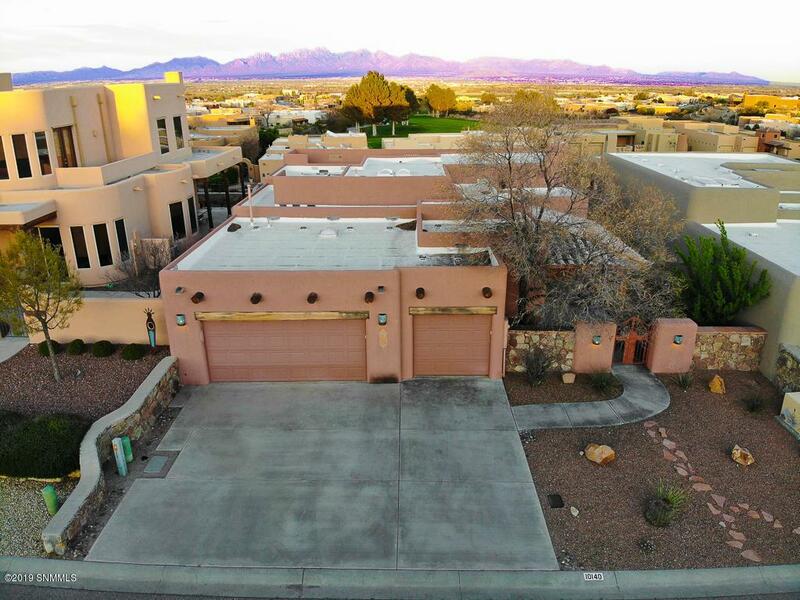 Don't miss this homes STUNNING views of the Organ Mts. & Mesilla Valley! Views from LR, Dining Rm.,Kitchen & Master BR!! 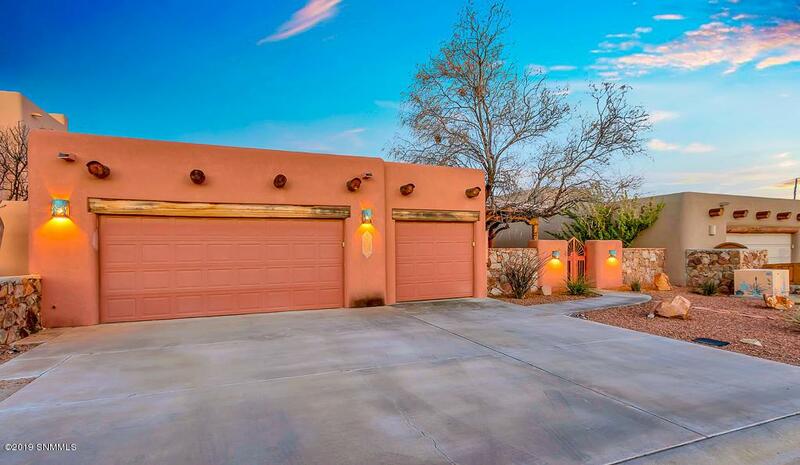 Enter through the courtyard W/covered porch & into the entryway W/2 skylights! 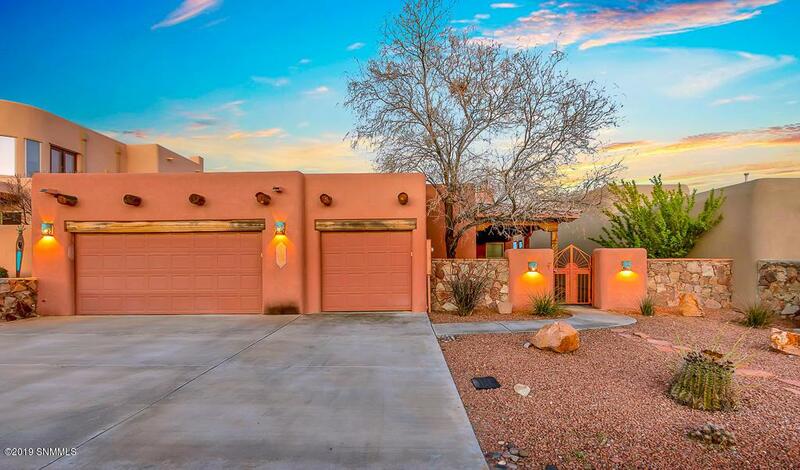 This home has 3 BR's 2 Baths. Split BR plan. LR has huge windows that take up a whole wall making the view amazing! Watch the sunrise from the comfort of your sofa! LR also has wood burning FP, wood beams & nichos. Outstanding kitchen W/breakfast bar, granite counters, 5 burner stove, skylight, custom cabinets, dining area & pantry! Master BR has sliding door to patio. Master bath has double copper sinks, skylights ,tiled shower and huge walk-in closet. Outside is an over sized patio, low maintenance yard & spiral staircase leading to amazing rooftop view! This home also features; 3 car garage W/built-in work bench, utility sink, & water softener The 3rd garage is not Full size. Room for motorcycle or golf cart. Blinds, tile baseboards, & laundry W/skylight & extra storage! 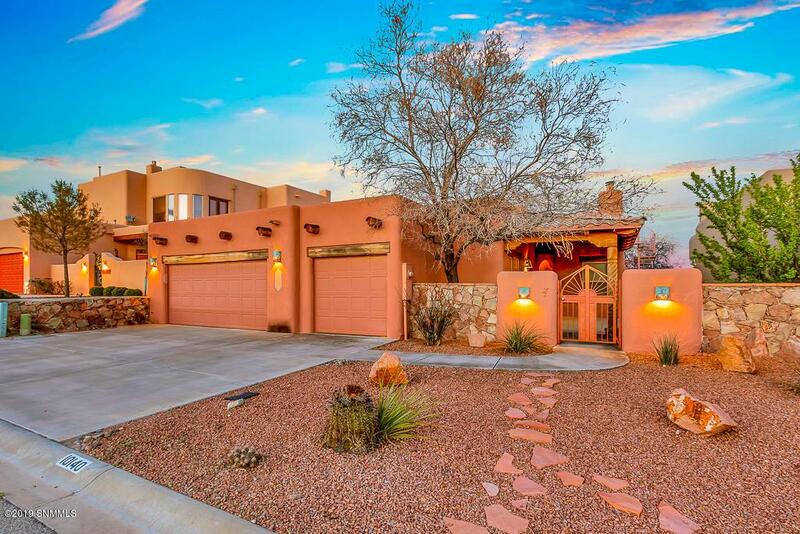 You won't want to miss this house!